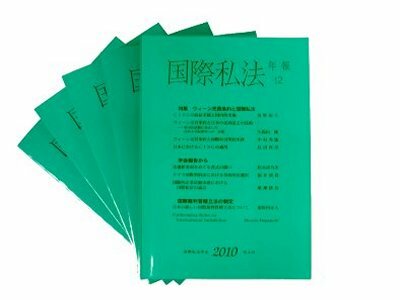 ◇　"Japanese Yearbook of Private International Law" contains articls on the private international law material. All articls submitted to board of editors are refered to the impartial referee. Every Article which appears on "Japanese Yearbook of Private International Law" is recognized to appear thereby. ◇　Please ask below about purchase.